USD is getting weak due to the Fed’s ambiguity about rate hike. The support rests at 115.520 with resistance at 116.400 which both lines are below the weekly pivot point at 116.940. 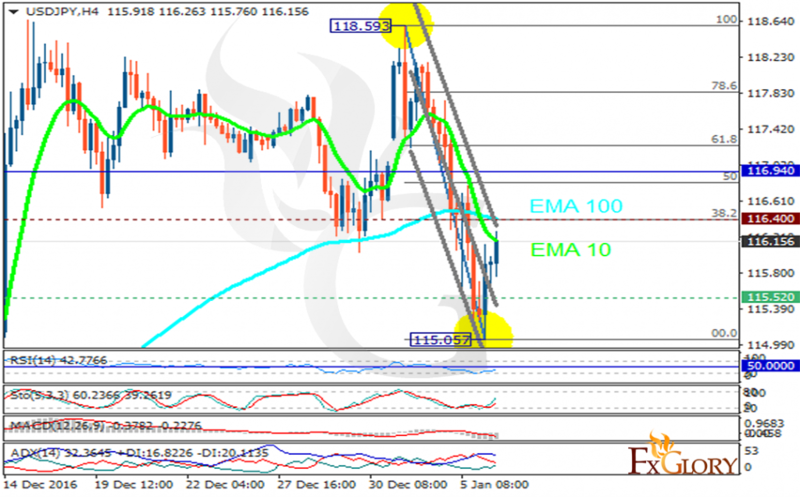 The EMA of 10 is moving with bearish bias along the descendant channel and it is located below the EMA of 100. The RSI is rising towards the 50 level, the Stochastic is showing upward momentum and the MACD indicator is in negative territory. The ADX is showing a weak sell signal. The pair will continue its upward trend until it reaches the 61.8 of Fibonacci retracement at 117 area after that, short positions will be recommended.